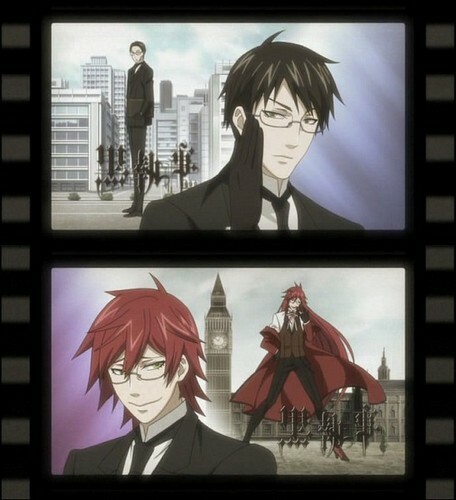 Black Butler - Grell & William. . Wallpaper and background images in the TeamPeeta649 club tagged: teampeeta649 anime black butler grell william. This TeamPeeta649 photo might contain signo, cartel, texto, pizarra, and letrero.